Champneys Henlow is set within a Georgian manor in Bedfordshire. The spa is surrounded by 150 acres of parkland next to a flowing river, running weir and romantic gardens – take the snowdrop walk and keep an eye out for deer, ducks and ducklings. 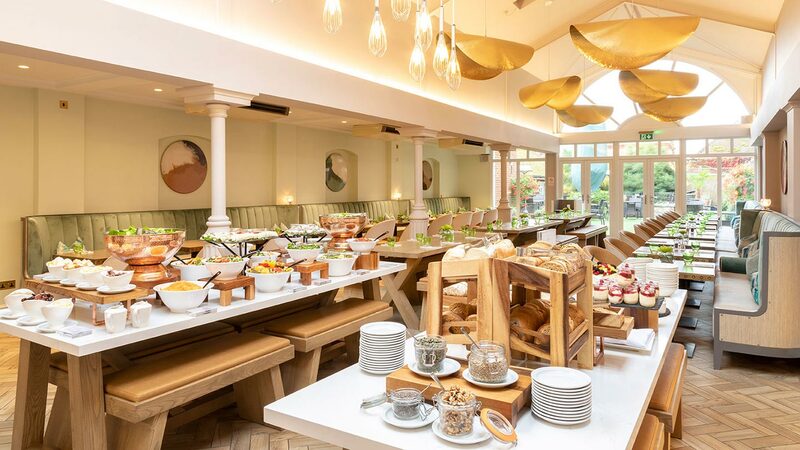 Highlights include a huge range of fitness and wellness classes, the restaurant with its nutritious buffet and comfy outdoor terrace, a bright 25-metre main pool area, and delightful garden conservatory with board games and books. Champneys Henlow is a romantic red-brick Georgian manor at the end of a long driveway surrounded by 150 acres of landscaped parkland and beautiful Bedfordshire countryside. Amid lawns and walled gardens is a river and gushing man-made weir. 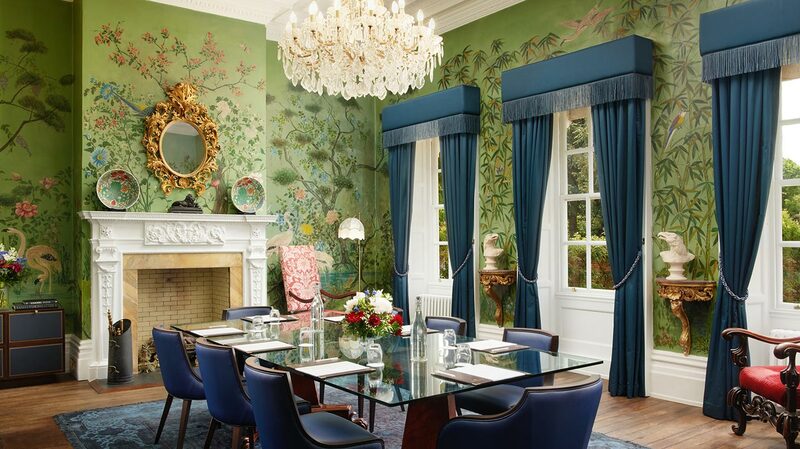 Inside, the reception area retains its stunning original hand-painted wallpaper with flowers and birds. The manor house and parts of the spa have undergone a major refurbishment over the past year. The day-spa changing rooms and restaurant now look chic and contemporary. The rooms in the main house have been enhanced with a heritage cream, green and blue palette, with elegant new furniture and lighting. After a short wait, we received a warm welcome, a smoothie, a Champneys tote bag with flip-flops, then a tour of the spa. The spa is down a staircase leading to a long corridor; the rather domineering red carpet, we hope, is on the list of improvements. From here, you can reach the treatment rooms, gym, fitness and spin studios, beauty parlour, boutique and pool. Day guests have their own changing rooms with a pale stone floors, cream walls with burnished mirrors, honeycomb occasional tables, flowers, and two twisted cream loveseats. Open doorways lead to three changing areas: each has a wall of new lockers, a central vanity unit with Dyson hairdryers, four blue velvet shell chairs and four curtained private cubicles. There is also a separate changing room for men, toilets, and a room with chairs and sofas to fill out consultation forms or simply relax. Showers are in the pool changing rooms with Champneys' shampoo, conditioner and body wash. This area has not been re-vamped but is clean with smaller changing cubicles and banks of older wooden lockers. Before you head out to the pool, enjoy a eucalyptus-infused steam room and a laconium with heated reclining mosaic seating (wonderful for aching backs). Both were sufficiently steamy and hot on our visit, and large enough to hold six to eight people comfortably. The spa's 25-metre swimming pool is set in a high-ceilinged bright, white space with pale non-slip tiles around the edge. It is the perfect length for lap swimming; glide through sunlight as it floods through the floor-to-ceiling windows before bubbling away in the eight-seat Jacuzzi. We warmed up in the nearby four-seat sauna, then relaxed on one of the luxurious new white padded loungers around the pool's edge. Get there early to grab one of the eight plump double day beds, some facing the pool, some looking out to the gardens. There is also a private thalassotherapy pool here, which you will need to book separately. Champneys Henlow doesn't have a dedicated relaxation room. 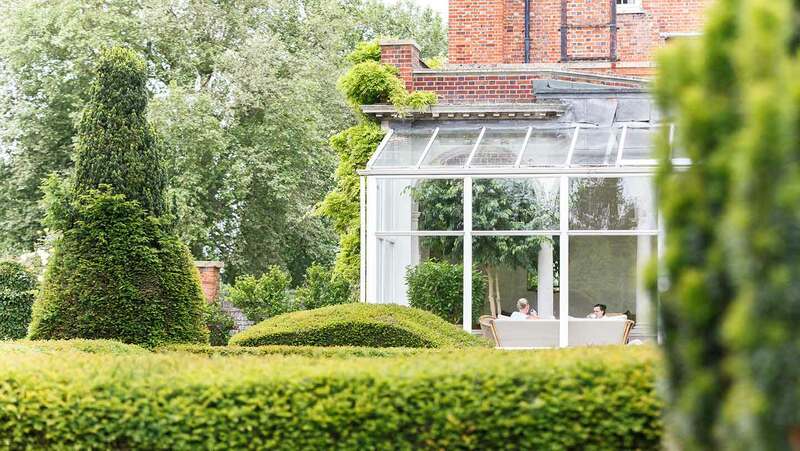 Instead, head upstairs to the beautiful conservatory, with huge potted trees giving shade to chairs and sofas, some cream, some brightly patterned. We saw several people curled up and snoozing in dimly lit cosy corners; there are also old-fashioned board games dotted about. 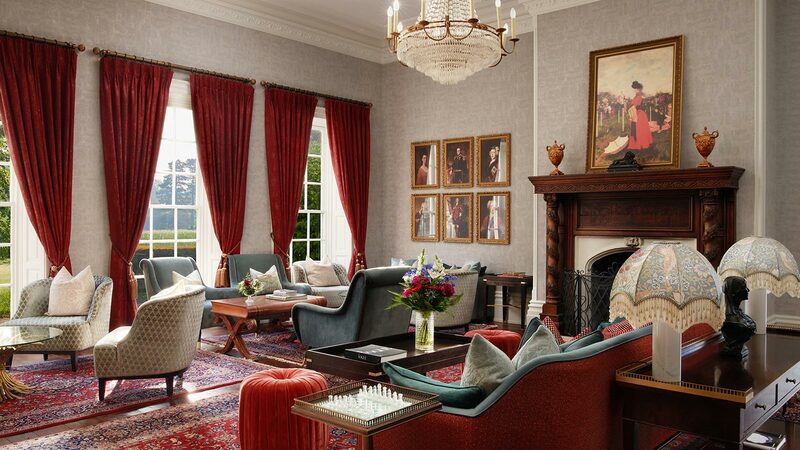 You can sit and read in the re-styled coffee bar, or one of the other elegant sitting rooms in the old house. In the evening, watch a movie in the rather grand cinema room. 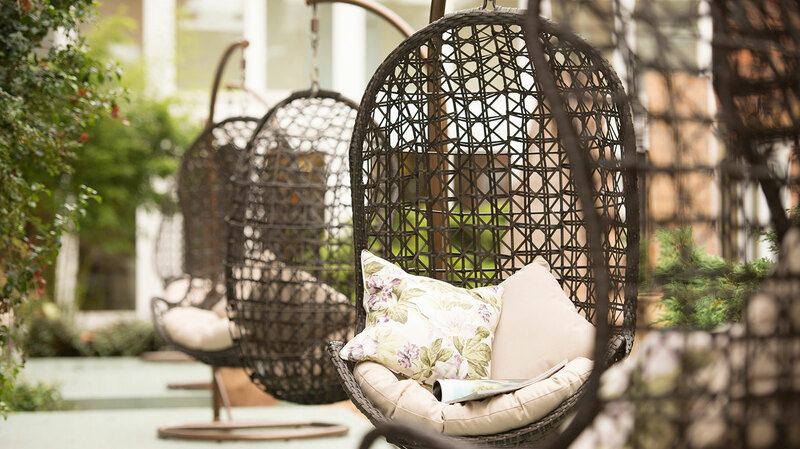 If the weather is good, relax on one of many loungers on the lawns, in walled gardens, or one of three rattan swing chairs. Feeling active? You can hire bikes, play table tennis, go for a run or a stroll through the gardens and woods, or use the tennis or badminton courts as part of your stay. The class timetable for the exercise studio is so extensive, we felt spoilt for choice. We opted for a Hatha yoga class followed by a mind-expanding meditation session. Personal trainers are on hand in the gym, too, offering tailored advice for exercise and diet. We had a Clarins Exclusive Face and Body (50 minutes, £89). My therapist, Pauline, fetched me from the beige treatment waiting area (about to be refurbed) and led me to one of the newly decorated treatment rooms: cream with pale grey floorboards and brown and yellow floral throws. Pauline discussed the treatment, my current skincare and lifestyle routine, and asked me what my priority, areas of focus and expectations were. Pauline began by gently pressing and stretching my limbs and shoulders, then encouraged me to inhale the piquant Clarins Eau Dynamisante scent on her hands. She cleansed and exfoliated my face, then massaged in a facial oil that smelled of summer meadows with firm strokes, encouraging lymphatic flow. She applied an eye mask (I said I wanted to focus on my eye area) and face mask, then delivered a wonderful body massage with perfect pressure. She removed the mask and dotted on eye cream, moisturiser and a rich lip balm before inviting me to turn over for a deeply focused and reviving back massage. At the end, Pauline lowered the bed and left me to re-robe before leading me back to the waiting area. I loved the delicate, natural Clarins fragrance on my skin, which felt soft without being too oily. My face looked smooth and notably radiant. 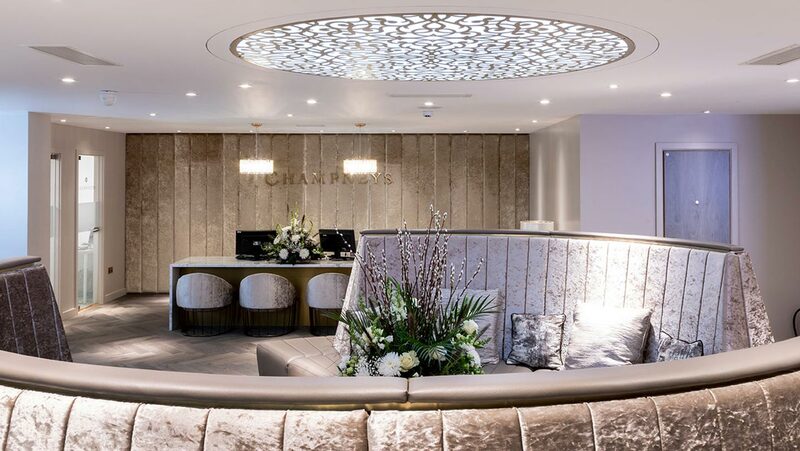 Champneys Henlow offers a wide range of signature treatments as well as facials and massages by Clarins and Elemis, alternative treatments and Wellness Therapies for Cancer Patients. You can add thalassotherapy sessions, an infrared booth or a rasul mud room to your day. The Wellbeing Team offer one-to-one personal training sessions and nutrition packages. In the spa's dedicated beauty salon, you can enjoy manicures, pedicures and finishing treatments such as waxes and eyebrow shaping. Lunch in your robe or gym kit in the restaurant. 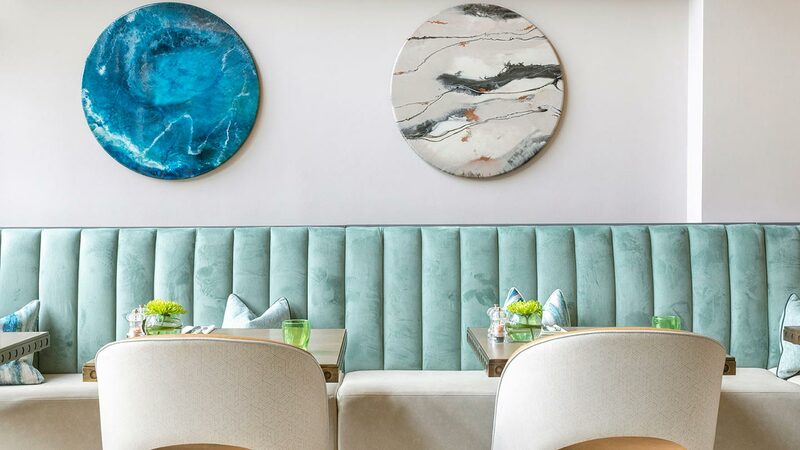 Dramatic bronze fortune-cookie pendant lamps hang from the high vaulted ceiling into a newly repainted and designed space: think soft greens, tasteful wall art and comfortable cushioned banquettes. At one end, the floor-to-ceiling windows and doors lead out to a roof terrace dotted with bright geraniums and outdoor seating. (It was closed when we visited as a wasp's nest had been discovered.) At the other, there's a modern coffee bar overlooking the pool. Lunch is an all-you-can-eat buffet, but with each dish so healthy, it's hard to feel guilty if you pile up your plate. At the centre is a choice of tasty salads and dips, as well as a hot-food bar, soup of the day, and a selection of relatively healthy desserts. We enjoyed a Greek salad and frittata with a delicious amaretto-flavoured creamy dessert and fruit. Dinner is smart casual; choose from a menu offering a la carte and grilled dishes, with vegetarian, vegan, gluten- and dairy-free options. We had fresh and light mushroom soup, followed by a surprisingly flavoursome and filling smoked tofu wrap, followed by fresh figs. The warm, friendly atmosphere: From staff to guests, everyone was smiling. The new décor: Stylish, bright and contemporary, but faithful to Henlow's uniquely eclectic charm. Our yoga and meditation class: The perfect end to our stay; we left with a whole new perspective on the world. We also loved the range of wellness books in the boutique; it doesn't have to be all about products. The pool changing rooms are a let-down; this area is yet to be spruced up and looked tired. And that red carpet has got to go. 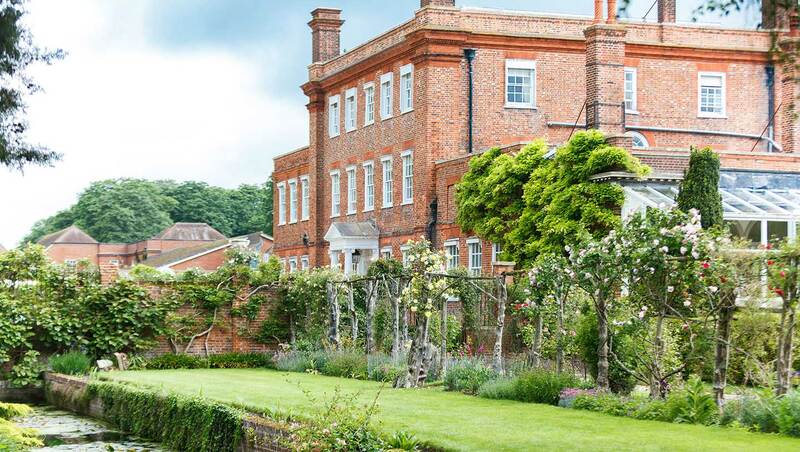 Leaving Champneys Henlow: We felt so nurtured, it was hard to head back to reality. Mums and daughters/gal pals: With its social yet relaxing atmosphere, Champneys Henlow is a great place to catch up with friends or family. 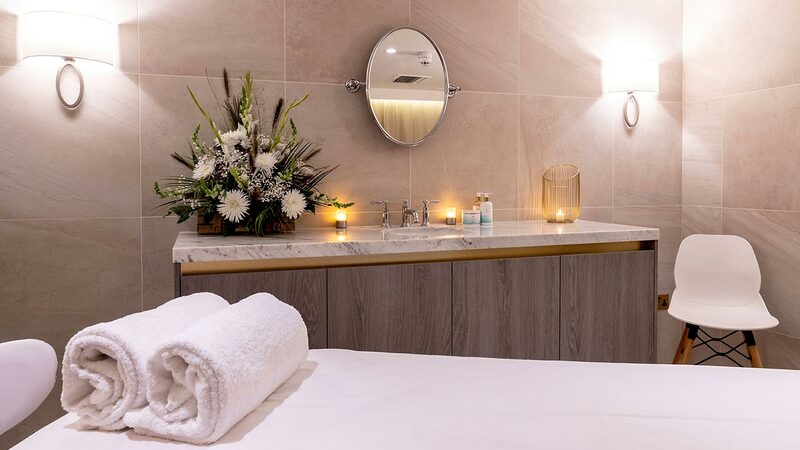 Solo spa-goers: Champneys Henlow has plenty of quiet corners to enjoy some independent spa time. 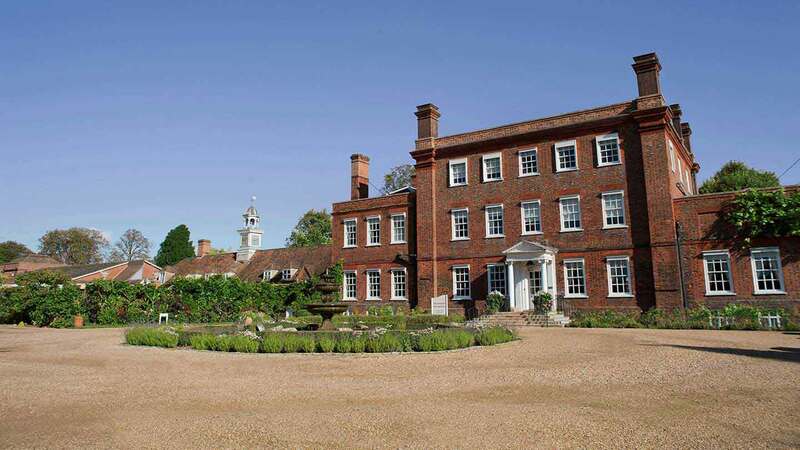 Lucky locals: Champneys Henlow has a great choice of classes and a welcoming atmosphere, plus health-club membership. 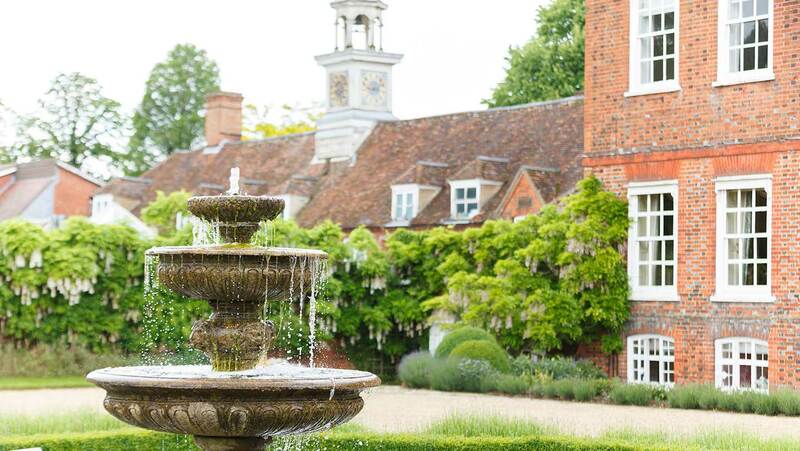 We gave Champneys Henlow a Good Spa Guide Bubble rating of 5 Bubbles. With an impressive range of classes, treatments and retreats in a beautiful setting, it's a perfect spa to rest, revive, or have wholesome fun with friends and family. "Such a lovely trip here. Felt so relaxed after. Loved the pool therapy. Can’t wait to come back again!" 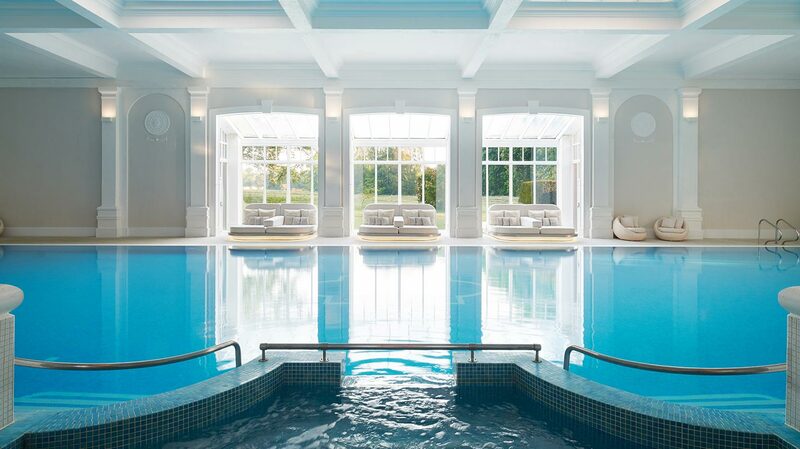 "Had the most wonderful Elemis facial at Champneys Henlow. Wonderful lunch too, only downside I badly bruised my leg getting in the jacuzzi as there is a steep drop into it. " Breakfast, dinner and cafe menus available with nutritious gourmet cuisine. 71 bedrooms ranging from standard and superior to suites.